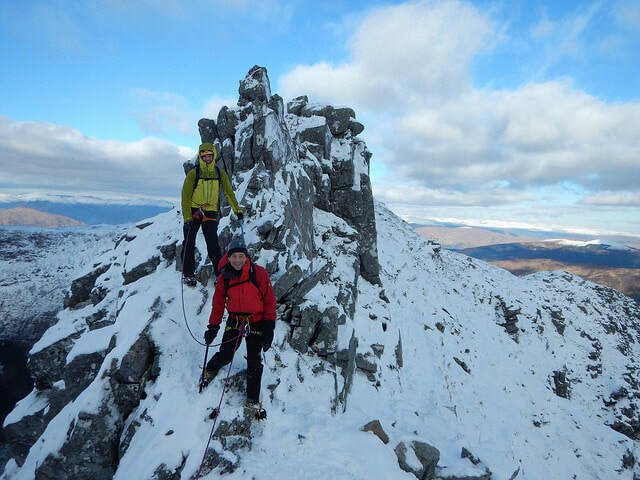 Experience the best of Scottish winter mountaineering! Whether you're new to the game or looking to refresh your skills, we can arrange something to suit you. A winter mountaineering skills course will give you all the skills needed to operate in winter including ice axe and crampon use, avalanche awareness, navigation, basic rope work and emergency response. If you would prefer to just experience something new or get out on classic routes such as Ledge Route, the Aonach Eagach or Curved Ridge, a day or two (or more!) of guided winter mountaineering will allow you to do just that. Winter mountaineering is particularly demanding and requires good fitness, but is well worth all the extra effort! This coming winter we are running Winter Mountaineering Group Courses where you can join other like-minded people to learn the skills to start tackling grade I and II routes on your own. 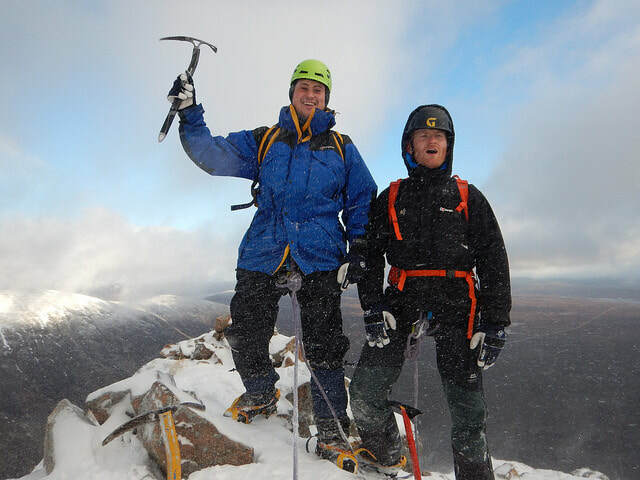 You should be comfortable using crampons and an ice axe before attending one of the courses. Day One​ - ​Rope work for grade 1 and grade 2 gullies, for example Number 2 Gully, Ben Nevis. Day Two​ - Rope work for grade 1 and grade 2 ridges and buttresses, for example Ledge Route, Ben Nevis. Day Three​ - Put it all into action on a suitable winter route such as the Aonach Eagach. ​See below for prices and dates for the courses. 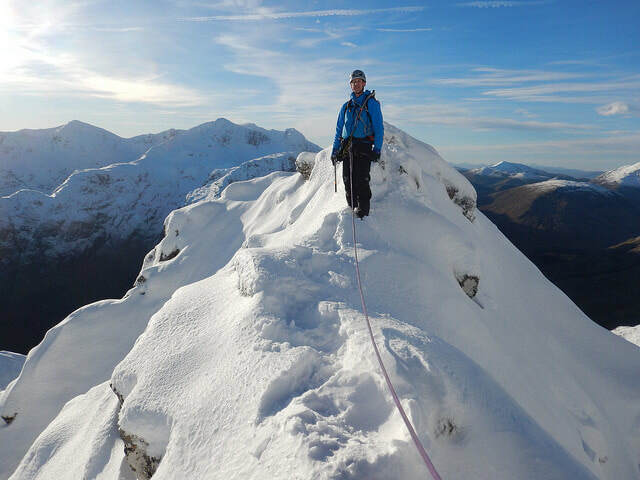 We can run private winter mountaineering skills courses or guided winter mountaineering on any day of the week ​so get in touch to check our availability and make a booking. ​Please Contact Us to check our availability or to get a quote for larger groups.